Mobile and social networking technologies are helping bring heavy-duty analytical capabilities to every level of a business. Anyone who thought social networking was useful only for catching up with old school friends is in for a shock. New tools, based on social networking and deployed on mobile devices, are enabling companies to streamline operations, enhance customer satisfaction and improve financial performance across their entire businesses. The next-generation tools have predictive and real-time analytics embedded within them and are connecting with new technologies, such as internal social-media solutions and mobile devices. They hold the promise not just of vastly improving efficiency within operations and sales but also of helping finance teams plan and forecast more effectively, collaborate in real-time for improved decision-making and get a clearer picture of operational processes. Business intelligence (BI) tools are not new, but in the past they were difficult to use, often requiring complex data-modeling by a company’s IT department, and offered little flexibility in terms of selecting criteria or building reports. Now analytics providers are working to embed analytics within regular business workflows. The new tools are integrated in such a way that users are shielded from the complexity that allows them to do sophisticated analysis. This advance is primarily the result of the introduction of two technologies that are changing the way data analytics and BI operate, namely complex event processing (CEP) and in-memory analysis (see box for definitions). These two technologies are the main drivers behind predictive analytics and real-time analytics, which are the keystones to next-generation business intelligence and will change the way companies look at their data, operational costs and future planning. Predictive analytics will be a key tool for CFOs and treasurers to improve risk mitigation. Enrico Camerinelli, senior analyst at consultancy Aite Group, explains: “It will allow them to build different models, to assess different possible actions and outcomes and act accordingly.” Dr Pepper Snapple Group, for example, uses a business analytics and financial performance management system—IBM Cognos—to increase efficiency in the production line. The company can use it on the operating side to evaluate efficiency in real time, pulling out data on production line repairs, downtime and other factors. Plant managers can choose variables, run reports and get dashboards for graphical displays of information without the assistance of the IT team. The system can provide information on expected sales, where those sales are coming from and thus what plants need to see capital investments—all of which is invaluable to the finance team. The software can also help determine when and how those investments will affect efficiency and production at those plants. As a result, the company can allocate its capital more effectively to projects that will garner the greatest return on investment. New solutions are also making information available to the entire organization, which improves and speeds up decision-making. For example, a manager could conceivably get a dashboard or graph showing current production and forthcoming production needs and plan expenditures around it. Information on current production could be updated in real-time for the supply team, which could use it to manage schedules for an order. Then the distribution team would know exactly when the order would be filled and ready for shipping because that information would be at their fingertips. The resulting interactivity speeds up the whole supply chain. And it all happens under one umbrella solution. As various parts of the physical and financial supply chain come together and are connected by BI solutions, real-time information could have a much more specific impact on finance. Predictive analytic solutions are already streamlining the back office. 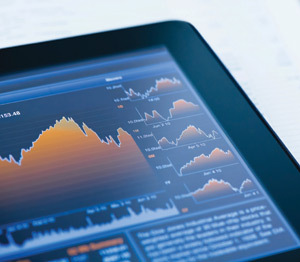 By enhancing forecasting, optimization, scenario planning and analysis, predictive analytics allows finance executives to create models based on both existing and virtual data to see the outcome of allocating resources among a broad set of alternatives with different weightings. “Where analytics affects treasury the most is simply in the use of analytics by the operating functions to effect better operational forecasting, which then translates into better cash forecasting,” says Leo Sadovy, financial solutions manager at software provider SAS. New analytics can be used to combine and collaborate between multiple forecasting sources covering different time horizons. For example, analytics can bring together information ranging from hourly, daily or weekly point-of-sale data to18-month marketing or product launch forecasts and multiyear data from external sources, such as government or industry forecasts. This is a big advance over using multiple spreadsheets and spending months gathering data. Plus, new BI systems are starting to connect to various communication channels, including social media and mobile devices, to improve collaboration and decision-making. Using the new tools, a company could gather data from two separate systems or sources, let new-breed tech clean it and match it, and then have it automatically and in real-time sent out to a closed group of employees—perhaps through a closed LinkedIn group or an internal social-media forum. The group can then interact via the social media program to respond to the information and act on it. BI systems are also increasingly gathering data from external social media outlets, such as Twitter and Facebook, to help improve operational decision-making. And, of course, help executives keep in touch with their old school friends. Predictive analytics: Applying predictive models to historical and transactional data, along with virtual data, to identify risks and opportunities. Real-time analytics: The ability to use all available enterprise data and apply dynamic analysis for real-time modeling and reporting, based on all historic and current data entered into a system on a minute-by-minute basis. In-memory data analysis: Data is stored in a device’s on-board memory, rather than a data warehouse. This speeds up processing and gives users more control, making it faster, more flexible and more user-friendly. Complex event processing (CEP): Processing many events happening across an organization or within a certain data set, identifying and analyzing sequences of events that either were preselected or have certain meaning based on a set of criteria, and taking action (sending an alert, updating a dashboard, and so on) in real time.